While, projects, including Rs 23,000 crore Purvanchal Expressway, totalling Rs 60,000 crore have already been launched, the Yogi Adityanath government is fast paving the way for laying the foundation of the remaining projects before the general election dates are announced. Uttar Pradesh government will launch development and infrastructure projects worth more than Rs 200,000 crore before the crucial 2019 Lok Sabha polls, when Prime Minister Narendra Modi seeks re-election against a combative and combined Opposition. On July 14 and 29, Modi had laid the foundation of 341 km Purvanchal Expressway and projects worth Rs 60,000 crore respectively. Now, the state is working on hosting another mega ‘groundbreaking’ ceremony to mark the formal launch of projects worth about Rs 100,000 crore in December 2018. These would be part of projects for which the Adityanath government had signed a memorandum of understanding (MoU) with private and public sector companies during the high octane UP Investors Summit 2018 on 21-22 February, 2018 in Lucknow. The Summit was inaugurated by Modi amid a galaxy of top industrialists. Besides, the government is working to lay the foundation stone of two mega infrastructure projects viz. Bundelkhand Defence Corridor and Bundelkhand Expressway before the 2019 poll bugle are sounded and the model code of conduct comes into force. 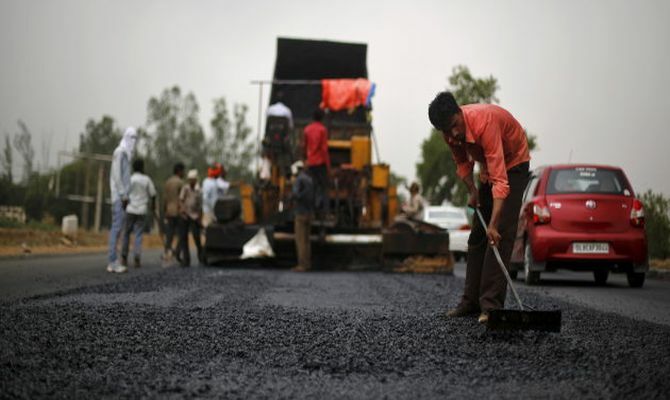 While the defence corridor is touted for an initial investment of Rs 20,000 crore, the 289 km Bundelkhand Expressway, which the state has proposed to name after former PM Atal Bihari Vajpayee, is estimated to cost nearly Rs 10,000 crore. Besides, UP plans to hold CSR Conclave, UP Startup Conclave and Krishi Kumbh to cultivate a pro-industry image and attract investment. The state had recently organised a One District, One Product (ODOP) Summit dedicated to the MSME sector. At the recent investment summit ‘Invest North 2018’ organised by Confederation of Indian Industry (CII) at Singapore, UP industry minister Satish Mahana had said the state had accorded highest priority to industrial development, which was evident with the launch of projects worth Rs 60,000 crore after just 4 months of being announced. He also referred to the proposed Jewar International Airport project in Noida, which would directly connect UP with major international destinations. Meanwhile, ruling Bharatiya Janata Party (BJP) is already in election mode with Modi and party president Amit Shah having visited UP multiple times over the past few months. On one hand, Shah seeks to keep the party leaders and cadres motivated for the coming election, the PM firmly endorses the Adityanath government for its development-oriented agenda. Since UP accounts for maximum 80 seats in Parliament, the proposed pre-poll alliance of arch-rivals Samajwadi Party (SP) and Bahujan Samaj Party (BSP) has made the BJP spin doctors rework poll strategy.